Before your child tantrums, think about what sets them off. Why does he or she tantrum? Think about where your child is developmentally. Is your 3 year old having a tantrum because you won’t give him something he wants? Is your 19 month old tantruming because she’s lost control of herself? When a toddler has a tantrum it is often because they are melting down, tired, or hungry. Whatever the cause, a toddler does not have the tools to calm their bodies and regain control on their own. They need you. At this age I recommend that you sit on the floor next your child, tell them you see they are having a hard time and that you are going to help them calm down. Some like to be held, others do not want to be touched. You can ask your child what they prefer, or just try what you think might work and see what happens. To be clear, this doesn’t mean to give in if the child is demanding something, it just means that you are giving your child what they need. Something, at that moment, that a toddler can not do for themselves. Reflect your child’s emotions. Bend down so that you are level with their eyes. Try saying, “You are so mad (fill in the emotions) right now. I know you really wanted that 5th scoop of ice cream but you may not have it. I understand that makes you feel angry and sad.” Then move on. Give your child a choice, should we play with blocks next or take out the crayons. Remove them from the situation. This idea can be interpreted in two ways. For some children, having a conversation with their grown-up while being distracted by the item they want, the child who has it, or something else that is happening in the environment, is just too much. For these children, removing them from the situation can mean going into the next room to work through the tantrum in a quieter place. That being said, sometimes there is no other option than to remove your child from the situation entirely. If your child has gone past the point of no return, leaving will often give them the opportunity calm their bodies in a less stimulating environment and help them understand that their behavior is unacceptable. 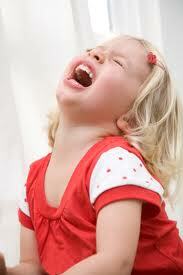 Deciding how to deal with tantrums has a lot to do with your child’s temperament. I say this often: Parents know their children best. Think about your child and the way they handle different situations. 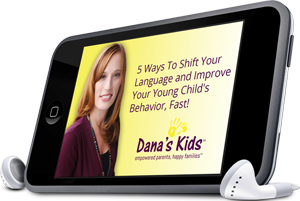 Children give us a lot of information every day, from whether they need to be prepared for something new a week before or an hour before, to how to handle their tantrums. When a tantrum begins, assess the situation, decide on a technique, and set the limit. Do not tolerate unacceptable behavior. The consistency in your reactions to tantrums, as with any other behavior, will help your children develop their ability to regulate their own emotions and behaviors. You can do this! This entry was posted in behavior, challenges, children, consistency, developmentally appropriate, limit setting, parenting, positive discipline, self-control, tips, young children and tagged behavior, challenges, consistency, cooperation, limit setting, parenting, parents, positive discipline, tantrums, tips, young children. Bookmark the permalink.